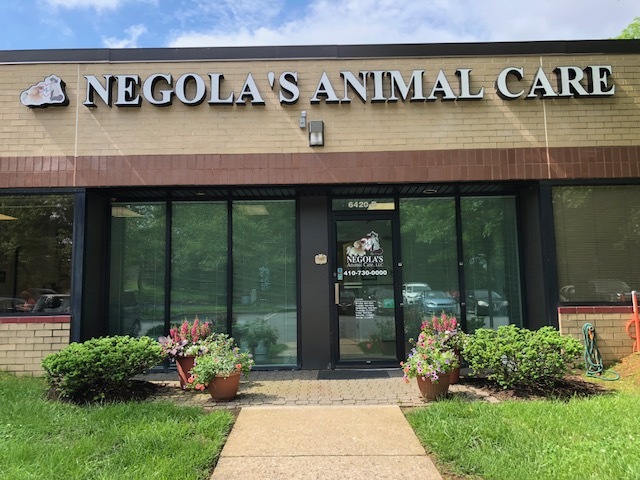 Firstly, our pets can't speak, they cannot tell us if they feel off color, unwell, or have any other indicators of internal illness. It is advisable to examine them every 6 months as well as run routine screening tests to detect underlying disease BEFORE it is clinically apparent. 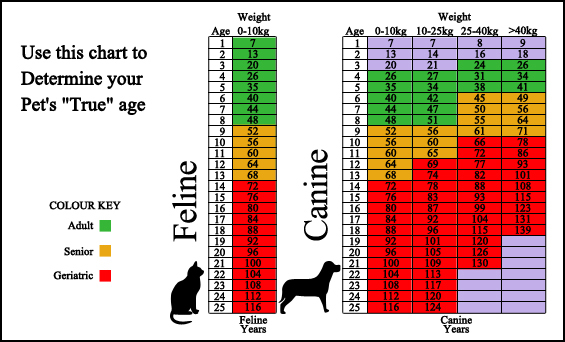 The age chart below helps you to discover your pets age in "people" years and the recommended screening tests for each stage of his or her life. We believe the following tests give us the best chance of helping your pet's live longer, healthier lives. These are approximations and may vary by gender, species and breed.